Ethan controlled Dolores' access to her children. Ethan had forged various documents prior to December 2009; he continued to do so. Ethan's history of violent abuse towards his parents and other people was confirmed by witnesses. There would be no help from Dolores' priest, who was declining to answer phone calls or emails. In opposition to their own public policy, the Gardai would not investigate or even look at the evidence of crimes Ethan committed against his mother. With the sole exception of Saoirse, Dolores' children had not contacted the Gardai, doctor or HSE Elder Abuse. Some of the family organised a meeting with Dolores to coincide with Alex's Christmas trip to Ireland. Perhaps that alone would give Dolores the strength to accept help. The first hint of Lloyd Montgomery's collusion with Ethan is seen. The Public Health Nurses visiting Dolores had concerns about Ethan's and Lloyd Montgomery's aggressive behaviour towards them. Past incidents of financial abuse towards his parents and others by Ethan were discovered. Other shady financial dealings Ethan was involved in were coming to light. In retrospect, December 2009 was probably the best opportunity to free Dolores from Ethan's abuse. The silence of those who knew and chose not to speak, and the lack of action by those who had the power and chose not to employ it left Dolores to suffer the ever escalating and creative ways Ethan chose to ravage her body, her spirit, her faith, her property and her purse. Those choices left Saoirse to be the lone advocate for her mother's life and freedom, in a Quixotic struggle to make those with the power to aid Dolores hear. In the face of what she thought to be overwhelming evidence, over and over she was asked "If this is so, where are your brothers and sisters? Why aren't they doing anything?" In time she dreaded this question she knew was coming. How could she answer? Those choices also hamstrung the efforts of Geoffrey Blair to aid Dolores, and gave the HSE a broad place in which to do nothing. We know now that urgency and action were exactly what was called for. By this time Ethan was well on his way towards consolidating total control of Dolores' life. We'll offer but two examples here for illustration, showing the range of control he sought. Earlier in 2009, Ethan transferred her rubbish bin service to his name and address. 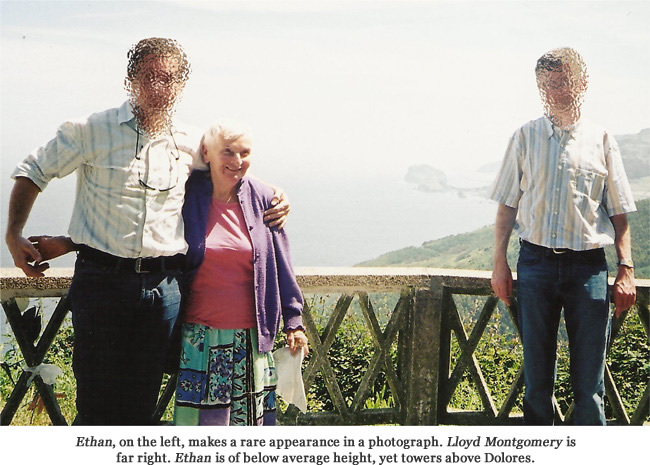 [Editor's note: He transferred aspects of Dolores' life to his address, he used her address for aspects of his life: Insurance, car registration, various scams he tried...] Also in 2009, over €50,000 vanished from one of her accounts, in a single month. Time was rapidly running out for Dolores. On December 20, 2009 at the point the "Silence of Friends" series ends, nine months remain before Dolores is rushed to the hospital on September 26. Sadly, the tepid response from Dolores' sons and daughters to her plight, as seen in the Silence of Friends series, will in retrospect seem like a tornado of focused action when compared to the events of the coming months. Why did those who had witnessed tiny, petite Dolores being violently beaten by Ethan not find it in themselves to write a letter, make a call or click the send button on an email to save their mother from further pain and degradation? It becomes a futile and frustrating effort to answer that question in the context of even the broadest definition of a family. Dolores bore eight sons and saw seven of them reach adulthood. Who among these sons of Dolores would lead the family to fight to safeguard this woman, their mother? Or if not lead the family, at least lead his sister Saoirse, if no others were willing to join him? Or if not lead his sister, at least stand by Saoirse's side for the sake of his mom? Or if not stand by her side, at least follow Saoirse into battle? The earliest known attempt at stopping the violent abuse Ethan unleashed on his family, according to family sources, was spearheaded by the Maxwell family doctor. Ethan was a teenager, and again according to sources, received treatment at St John of God Hospital in Dublin. We believe this treatment was temporarily effective to some degree, although it appears to be the main reason Ethan later coerced his parents to change doctors. Dolores continued charitable contributions to this hospital until her death. What did they expect her to do? 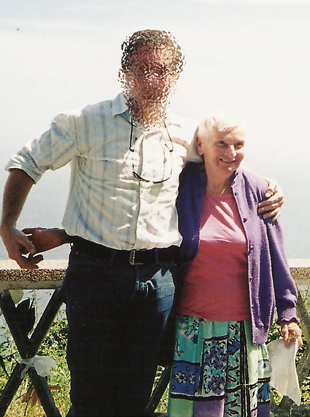 Look once more at Ethan's size in relation to Dolores. Imagine his left arm encircling her, trapping her in a headlock tight against his chest. Visualize his right fist repeatedly pounding into her face, over and over and over. We know that was the horrible price she paid on one occasion she tried to say “No” to his demands for more money. Dolores was treated at the hospital and dutifully reported she had a “fall.” According to witnesses Ethan used pleas, threats and bribes to ensure the silence of those who had seen his violence. And just how, you mighty men, was this little old lady going to comply with your demands she stop Ethan's abuse without putting herself in even greater danger? The third attempt happened while Ethan was in Spain, on an education grant. [Editor's note: We visit that in another section.] Cecil and Dolores sought to have a Barring Order (roughly analagous to a Restraining Order) lodged against their son Ethan. They were aided by Nathaniel. It should be noted that getting a Barring Order or Safety Order in Ireland is not a straightforward process, and these Orders have much less restraint on an abuser than say, in the US. A Safety Order is the court ordering an abuser to stop being violent. The abuser is still allowed to live with his victim. In a Barring order, the abuser cannot enter the victim's house. To apply for an Order in Ireland, you go to the District Court and fill out a form. A Court date is set for sometime in the future, and the abuser is notified by mail of the date (he or she has to appear also). There are provisions for Emergency Orders that are effective from the date of application until the full court hearing. Restraining orders in the US are generally gained by filling out a form. The order is immediate, and in effect until the full court hearing. Protection under a Restraining Order in the US varies by state, but usually includes prohibiting contact by phone and being within x distance of the person who took out the order. This means if the order states 500 yards, it means everywhere. If the abuser is shopping in a supermarket and the other person walks in, the abuser must leave, or be in violation of the order, which in the US is serious offence. For reasons unknown, this Barring Order was never pursued to completion. The last attempt we are aware of prior to December 2009 was in 2005. Ethan had coerced a huge transfer of wealth from his parents after they sold the family house in Dublin. Sophie and Nathaniel gave evidence to the solicitors who were representing both parents and Ethan about this coercion and the history of abuse. There are reportedly audio recordings of a terrified Cecil explaining the situation to one of his sons. We have sought these recordings to no avail. We don't know if there are copies of the documents sent to the solicitors, or if they were kept by the solicitors.